During my last semester in college earning my degree in nutrition science I had to develop an original recipe. 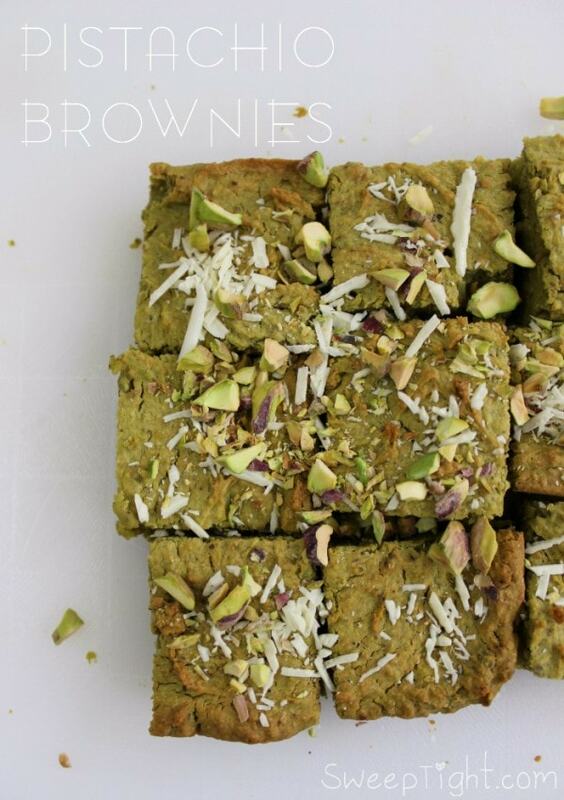 Because I love pistachios and all sweet things, I decided to create a pistachio brownie. To make it more of a challenge, I made it gluten free and a healthy dessert recipe. It’s a lima bean brownie! You might think these ingredients are the last things in the world you’d want in a brownie, but trust me, the final results are quite satisfying. It took me 15 weeks and over 40 attempts to get it right. A huge thanks to all my classmates that had to taste test all the failures along the way! But they all agreed by the end that this recipe turned out AMAZING. 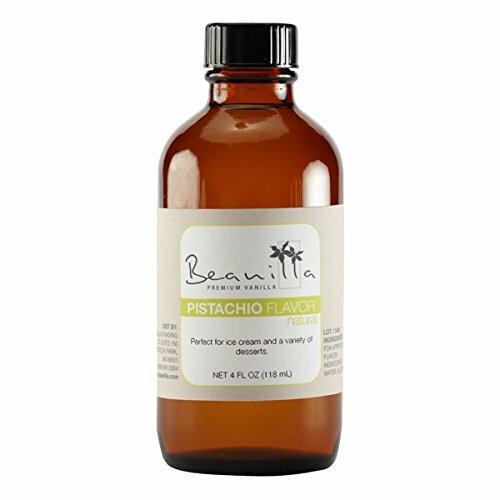 The most difficult part was finding the right pistachio extract. I went through almost a dozen before discovering this one. It’s phenomenal. Spray 8×8 pan with nonstick spray. Open can of beans. Rinse and strain. 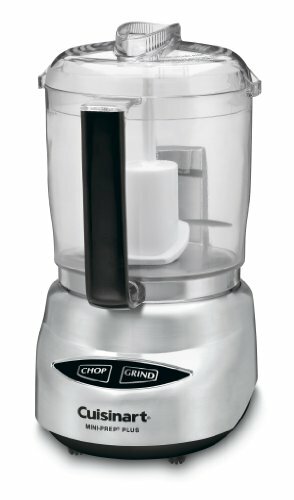 Put beans in Blendtec Blender and process until smooth. 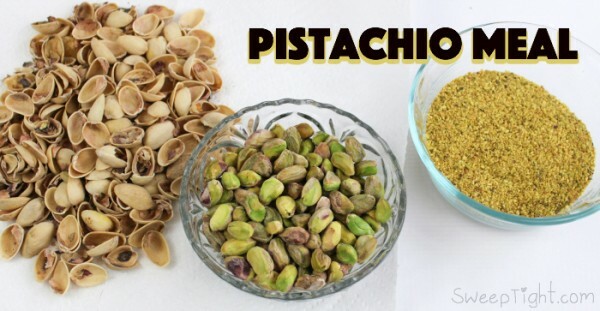 Put approximately 3/4 cup shelled pistachios in food processor and grind to make 2/3 cup fine meal. 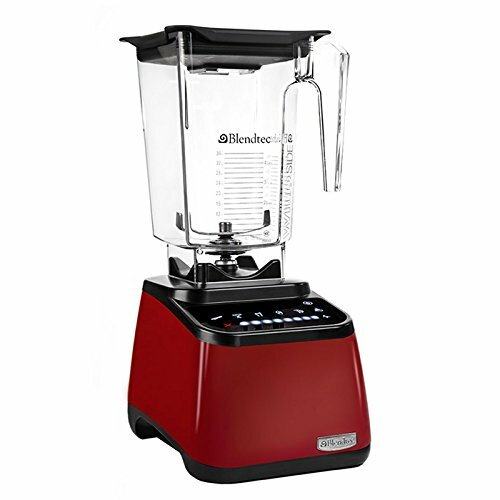 Add remaining ingredients to blender and blend until evenly combined. Pour into greased pan using spatula to scrape sides of blender. Bake at 350°F for 25-35 minutes or until toothpick inserted comes out clean. Cut 4 even columns and 5 even rows to create 20 servings. 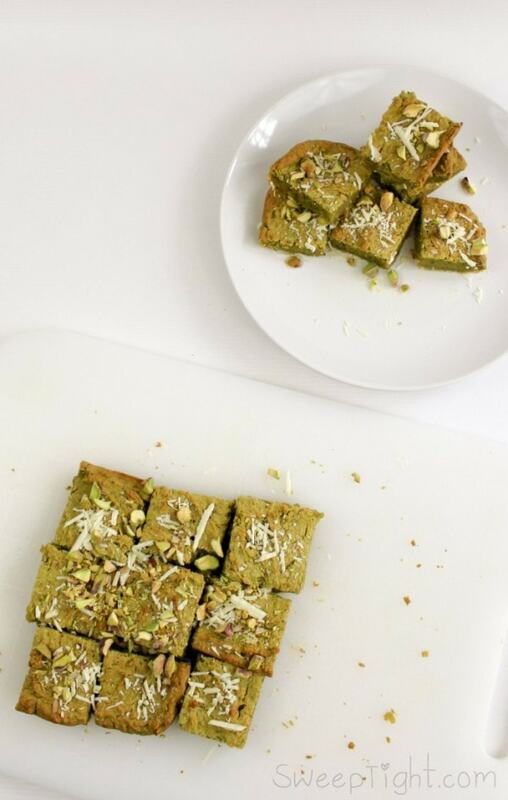 Chop pistachios and white chocolate to desired size and sprinkle over sliced brownies as a garnish. Serve when fully cooled to room temperature for best flavor. Subscribe to me on YouTube for more fun recipe videos! Do you have a favorite healthy dessert recipe? 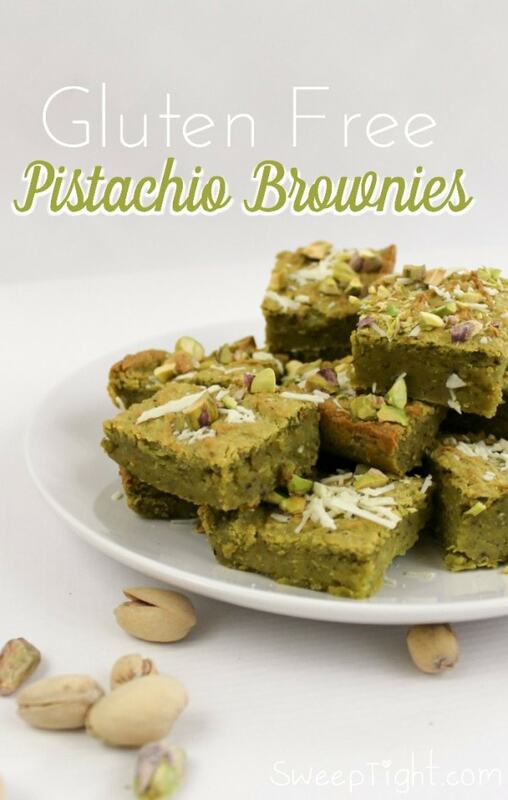 I love Pistachio’s and this recipe looks wonderful. I did post this on Stumble Upon. My mom, who can’t eat gluten, I think just might love these. Pinned it and can’t wait to try them! These sound amazing! Pinned and tweeted. Thanks for sharing at Merry Monday, hope to see you again next week! 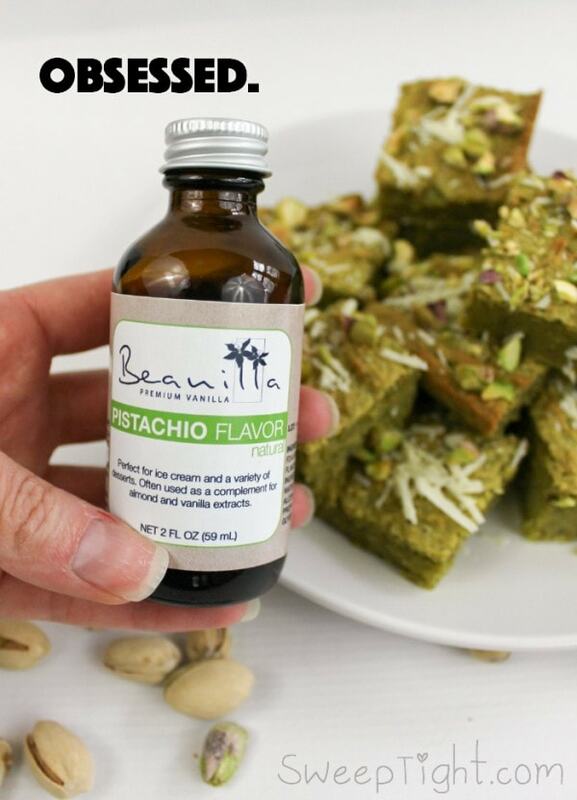 these look amazing but i never heard of pistachio flavoring. THese would be great for christmas and st.patty day. this is very creative . I saw these and admittedly thought, these cant be good…. 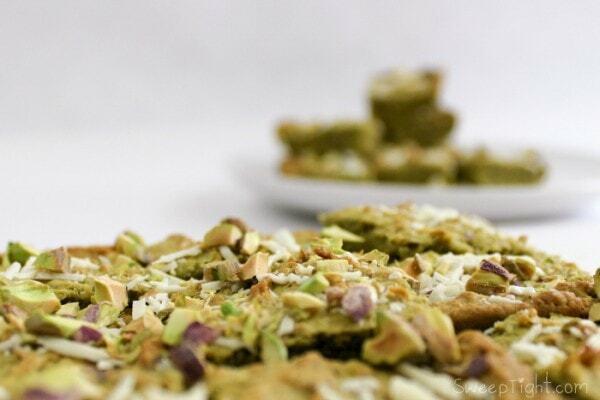 and then saw how you used ground pistachios, and changed my mind. I dont think I have ever seen the extract before. Hubby loves pistachios and cant eat them now as he lost his teeth due to cancer, but I bet he could enjoy these brownies.